First of all, what is story mapping? Story maps are great because they put the focus on the user experience, which oftentimes gets sent to the back burner in favor of product features and other more pressing details. They help teams prioritize better to ensure that what the customer ends up with is valuable. The end product should be a holistic view of the entire customer experience, ideally devoid of any gaps or problems. Your website is your way to communicate your product to your users; if you were speaking to them in person, you would take care to be clear and concise, straightforward and to the point. We’ve all had experiences where we’ve been in conversation with someone only to have them go off on some tangent, subsequently causing us to lose interest and become distracted. You DON’T want this to happen on your website, and it’s much easier for communication to be interrupted online as opposed to in person when both channels are present. Instead of using speech to tell your brand’s story, your website uses navigation. You may not have thought twice the last time you clicked on a little hamburger menu, but chances are the website designer(s) spent a good amount of time debating which type of icon to use. That’s because if your website’s navigation is done poorly, the line of communication between company and user will be severed, and the user won’t get the product or solution they’re looking for. In addition to this, navigation is also essential to SEO. Search Engines pay attention to how users behave on websites, and they factor that into their rankings. If you have a high bounce rate because your users are lost on your site, you’ll see that reflected in your rankings. How to Use Story Mapping to Ensure Your Website is Optimally Designed? First off, get a team together. Gather a group of stakeholders who have different backgrounds and specialties, but who are all invested in the final product. Then, create a list of all the tasks you think a user will need to go through in order to carry out a specific action, like submitting their contact information on a user form or making a purchase. These tasks will make up the first row of your story map. Next, break each action down into smaller details. This is where navigation comes into play. If a customer is going to make a purchase, how will they get to the checkout screen? Will they scroll down, or open a new window? Will there be drop down menus, or buttons to click? Should you link text, and if so, where? You can, and should, bounce ideas off your team members and use their expertise to come up with the best, and most flawless, route. 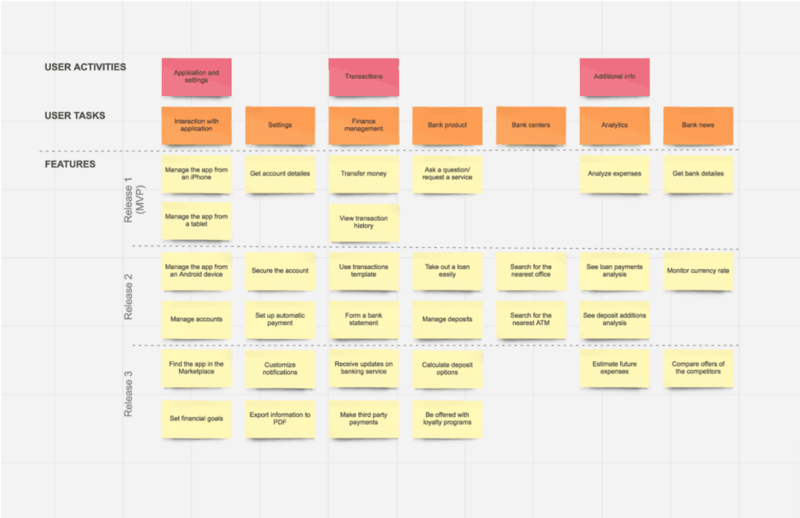 Ask yourself questions like, “is this the most logical route to take?” and “will this design aid or distract the user?” Story maps are great because they’re not set in stone (many are created with post-it notes). Once you get done, if you look at the final product and decide some of the steps don’t seem optimized, swap them out for other ideas and reevaluate. This should be a collaborative process that involves rewriting and rearranging details again and again until everything fits. No one expects it to be perfect the first time around. Someone on your team should ideally be versed in web design best practices, so if that person isn’t you consider checking out this article on FeedOtter.com to learn some tips about web design that will hopefully boost your conversion rate. 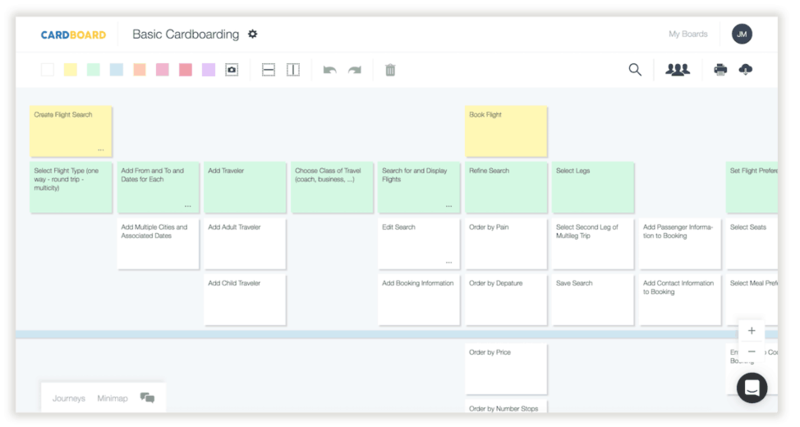 In addition, Feed Otter offers this guide for the 7 best story mapping programs to use in case post-it notes aren’t your thing! How do you plan to incorporate story mapping into your business in 2019? Comment in the section below!